Certification is a journey. 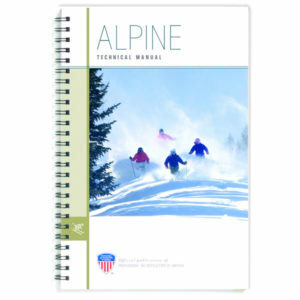 As you develop your knowledge skills and abilities as a snow sports instructor you become more valuable to your clients and your school. No one person, document, or resource can prepare an individual for their certification process. Rather a combination of individuals, information and resources will provide the best blend of expertise for a well-rounded training pathway. Want to learn about the exam process? Preparing to take an exam? Then this cert guide, aka the holy grail or the bible, is the place to be! 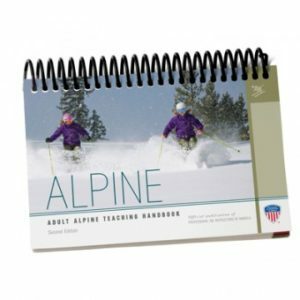 The certification guide will go through the process for Levels I, II and III, what to expect during the teaching or skiing day(s). Please make sure you read this and are familiar with it to best prepare for your exam. ***Please note, for successful completion of a certification, all components of the exam must be completed in the Northwest, partial module passes in other divisions do not transfer. Not sure some of the updates or have some questions – we have created this “facts” document to help. Want to know what the assessment sheets look like? Click below to see them and get used to knowing what kind of form your feedback will be coming to you in. This guide was created as a resource to be used for both trainers and new instructors in preparation for the Level I exam and also for more knowledge as an instructor. Its intent is to provide some bigger content ideas for further research and conversation. Control the relationship of the center of mass (COM) to the base of support (BOS) to direct pressure along the length of the ski(s). Control pressure from ski to ski and direct pressure toward the outside ski. Control edge angles through a combination of inclination and angulation. Control the ski’s rotation (turning, pivoting, steering) with leg rotation, separate from the upper body. These are other activities that could be used during the exam, as well as, useful in various lesson scenarios. This document describes the Visual Cues of Efficient and Inefficient body movements in skiing. Use them to help your movement analysis.